Rock legends Pink Floyd reissued their back catalogue back in 2011, at the time remastering the 1994 album The Division Bell. Now, they're reissuing that album again, this time in a lavish 20th anniversary edition and a stand-alone double-vinyl gatefold version that are a Floyd collector's dream! The lavish box set includes a vinyl pressing of the album, remastered from the original analog tapes and for the first time pressed on two 180-gram LPs featuring the full-length tracks that had originally been edited to fit on '90s-era vinyl. The set also includes three additional vinyl discs: a red vinyl 7-inch of "Take It Back," a clear 7-inch of "High Hopes" and a blue 7-inch of "High Hopes," which will be a one-sided disc with a reverse laser etched design. 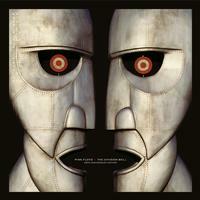 Also included in the package is a remastered Division Bell CD; a Blu-ray disc with an HD audio version of the album and a brand new "Marooned" music video; plus a previously-unreleased 5.1 audio remix by legendary Pink Floyd recording engineer Andy Jackson. You'll also get assorted eye candy in the form of a 12" x 12" 24-page color booklet and four 12" color prints. There's also a stand-alone double 180-gram gatefold LP edition (plated and pressed at Quality Record Pressings) available. Both the gatefold version and box set include a digital download of the album. The Division Bell's music was mostly written and recorded by Pink Floyd's post-Roger Waters lineup: singer/guitarist Dave Gilmour, singer/keyboardist Richard Wright and drummer Nick Mason, while Gilmour's wife Polly Samson co-wrote many of the lyrics. Gilmour and Bob Ezrin produced the album. The album debuted at No. 1 on the Billboard 200 and has since been certified for sales of three million copies in the U.S.
From 1994 and the final Pink Floyd studio album to date, The Division Bell hit the No. 1 spot on the album charts in both the U.K. and the U.S. The album spawned a record-breaking tour the same year that saw the band play an unprecedented 14 nights at London's Earl's Court, captured for the concert film P.U.L.S.E.